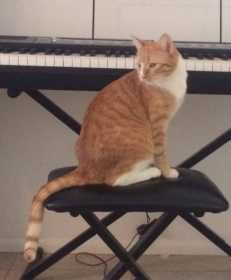 Orange with white on paws, chest, and nose. Female, 4 years old. Spayed & microchipped.